The Maryland of Department Natural Resources announced that counties and municipalities can now apply for grant funding from the National Park Service’s Land and Water Conservation Fund. Communities are encouraged to apply and submit preliminary application forms by Dec. 18, 2018. Land and Water Conservation Fund projects must be in direct support of public outdoor recreation. Eligible proposals include the acquisition, development and maintenance of outdoor recreational areas, facilities and properties, including athletic fields, boat launches, fishing piers, playgrounds, trails and more. Municipalities and counties are eligible for up to a 50 percent matching fund with requests capped at $800,000. Cecil County was awarded $200,000 for the Bittersweet Development, a project that includes trail renovations, a playground and fitness equipment at Brantwood Park. 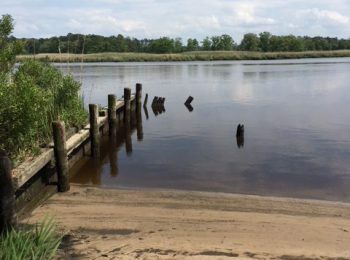 Wicomico County was awarded $820,000 for Pirate’s Wharf Development, a project that includes a master plan, boat launch, playground, trails, picnic pavilion and bathrooms. Since its inception, the Land and Water Conservation Fund program has funded over 350 projects throughout Maryland. The national program is administered by the U.S. Department of the Interior.